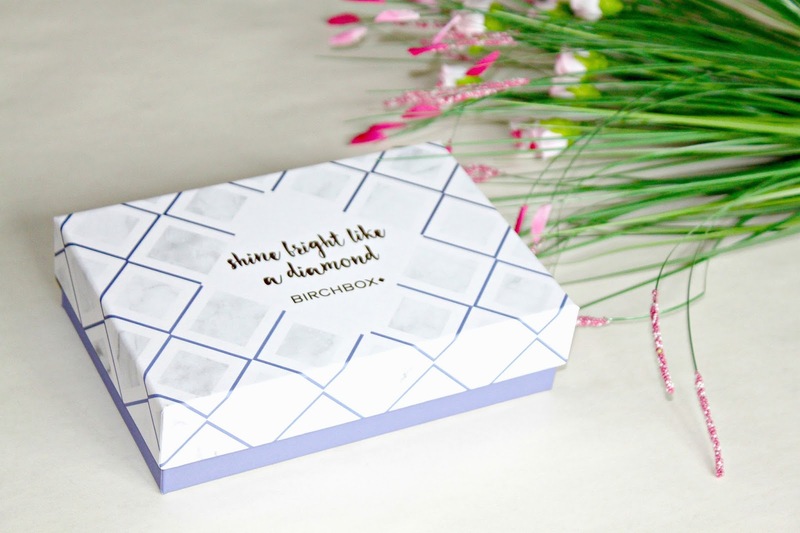 A parcel arrived on my doorstep last week and I was so excited to open it because I knew it was my February's 'Shine Bright Like A Diamond' Birchbox. After receiving a promotional email from Groupon last month offering a 6 month Birchbox subscription for £29.95 (original value £60), I didn't hesitate to purchase. 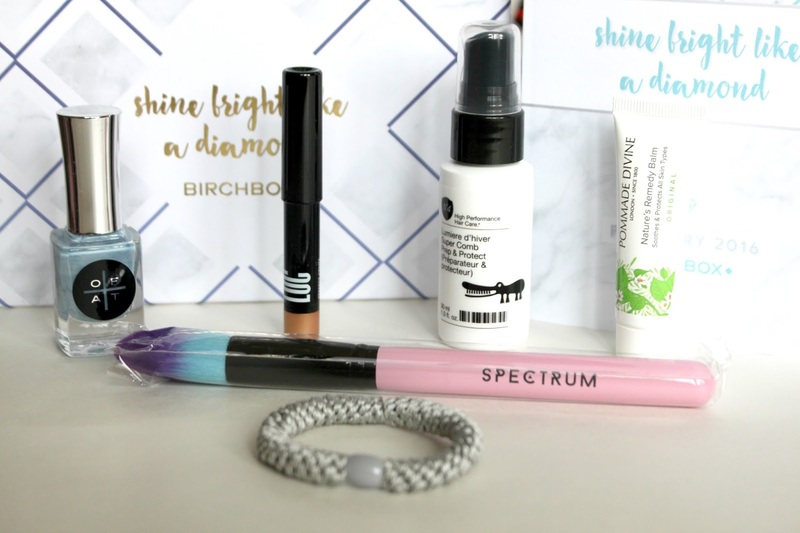 I'm pretty sure that many of you have already heard of Birchbox but for those who haven't, Birchbox is a beauty sample subscription service that delivers a range of high-end beauty samples and full sized products to your door every month. 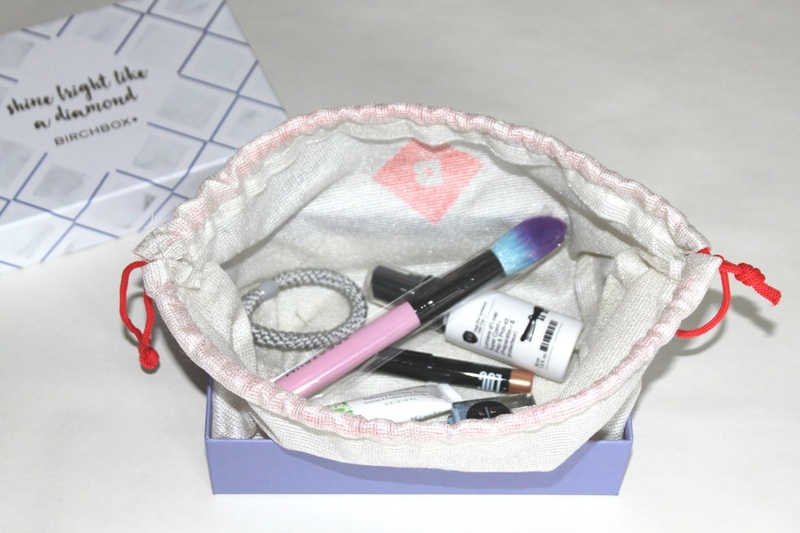 Being someone who loves trying out new beauty products, Birchbox seemed perfect for me! This was one my favourite products out of the box by far! It's such a girly and colourful make-up brush! I normally tend to stick to my Mac and Real Techniques make-up brushes because my skin is too sensitive for brushes that are prickly even to the slightest degree. However, the softness and quality of this brush makes Spectrum seem on par with those big brands. Impressed is an understatement to see this in my box! I love nail polishes for a start, so seeing this in my box did get me a little happy. I was given a frosty blue colour named 'Azure' and I can't wait to try out the longevity of this brand. This is a full size eyeshadow stick from Birchbox's in-house beauty line Love of Colour (LOC). I had the opportunity to choose which shade I wanted to receive this month - either Champagne Problems or Perfect Cents. I chose Perfect Cents because I felt that the copper bronze shade would suit my skin tone a lot more than Champagne Problems, which was more of a silver taupe shade. Even though I hardly wear eyeshadow unless there's a fancy occasion or if I'm 'out out,' I can't wait to try this product! This is my other favourite product from the box, I am completely in LOVE with this spray! Having long hair, it often (often is an understatement) gets tangled. This was the first product from the box that I was really eager to try. So after I showered and washed my hair, I gave my damp hair a few spritz of this magic and oh my god... no tangles at all. It literally just glided through! This was something I've never experienced before because normally I'd have to force my brush through whilst bracing the numerous strands of hair being pulled away from my head. I can definitely see myself purchasing this product when I'm finished with this bottle. Oh.. did I also mention that this smells amazing too? Having temperamental sensitive skin, I was quite excited to see this multi-purpose balm in my box. Since you can use it practically anywhere on your skin, I can see myself using up this sample tube quite quickly! This hair tie is metal-free and is said to be damage-free to your hair. Knowing this, is like music to my ears because I always tie my hair up when I'm at home. However, this hair tie was my least favourite product from the box because I didn't feel like one hair tie was enough to warrant being in the box. If it came in a set of three, I would've been happier. I would've also preferred to receive a black hair tie rather than the light grey colour because my hair is dark brown/black. Nevertheless, I can see this hair tie being constantly kept around my wrist for the times I need to get my hair out of the way. Being a new subscriber to Birchbox, I had very mixed feelings initially. My first impression when I first saw the box was that it was a lot smaller than what I had thought. Having seen the brand floating all around blogs and social media, I really expected the box to be much bigger than what it was. Anyhow, when I opened the box, I was really happy to see all of the products that it came with it. Everything inside was handbag and travel friendly! The only thing that disappointed me in the slightest was that only one hair tie was provided. Other than that, I was genuinely happy with my first Birchbox especially when it only cost me £5 per box due to the Groupon offer. I'm really excited to receive my next Birchbox now, it's like receiving a surprise present every month because you don't know what you're going to get. What do you think of the products in my February Birchbox? Are you a subscriber too? 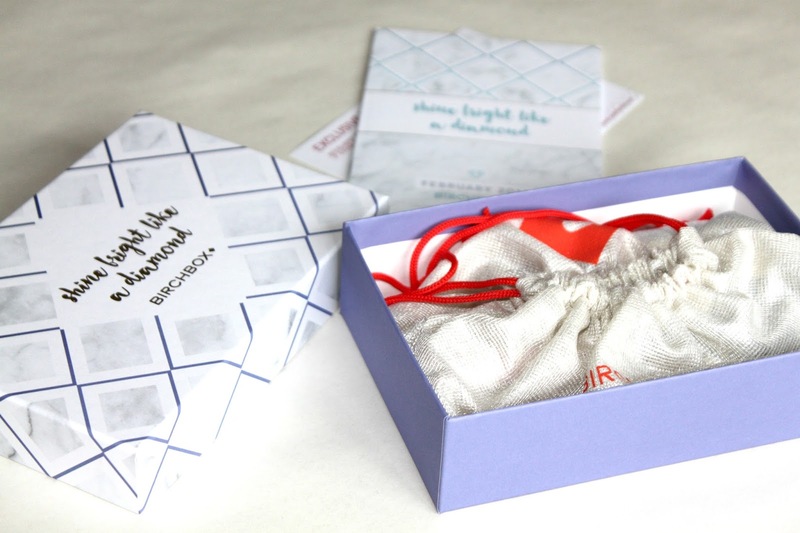 Stay tuned for March's Birchbox review!